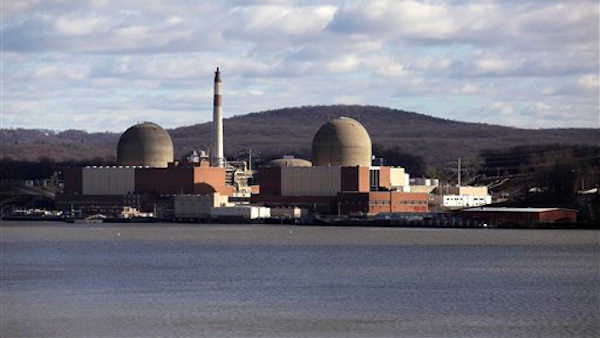 BUCHANAN, New York (WABC) -- A planned outage at the Indian Point nuclear power plant will be extended for several weeks after officials found missing bolts during an inspection. Entergy Corp., which runs the facility north of New York City, said Tuesday that more than 2,000 bolts had been inspected when the Indian Point 2 reactor was shut down. Company officials said more than 200 of the bolts needed further analysis and that some of the bolts on the reactor's inner liner were missing. The company says there was no impact on public safety or health. Democratic New York Gov. Andrew Cuomo said it was the latest in a series of incidents that he says raises concerns about the plant's management. He says state officials will continue to investigate the plant's operations. Congresswoman Nita Lowey said Entergy's discovery of bolt problems is one more indication that its operations are not up to par. "If we can't trust that the bolts that hold the reactors together are secure, how can we trust that the plant is safe and secure?" Lowey said in a statement. "In the last year, there have been unplanned shutdowns due to various causes including fire and power loss, tritium leaks that threaten public health, and this latest news that bolts in Unit 2 at Indian Point are missing or degraded. These are all indications that this facility simply isn't operated as safely and securely as it should be. It's too dangerous for Entergy to let maintenance fall behind at this nuclear facility that is situated in the middle of the most densely populated area of the country just miles from New York City." Lowey has introduced a measure to require the Nuclear Regulatory Commission (NRC) to evaluate old power plants seeking license renewals with the same stringent criteria used to license new plants. She has also proposed requiring NRC to award grants for emergency preparedness when the agency collects safety-related fines from nuclear facilities.